The Area Codes hitmaker will serve as host and executive producer of the revamped series, in which contestants will be pushed beyond their comfort zones and challenged to take on daring stunts in a bid to win cash prizes. The Fear Factor revival will target today's youths and is the first project in the Fast and Furious franchise star's new production deal with MTV. "MTV is about celebrating youth culture, and with the reinvented Fear Factor, we are putting the power in our audience's hands to face and overcome their biggest fears," states network president Chris McCarthy. "We are thrilled to partner with Ludacris, one of the biggest global stars who has a rich history with MTV, to energize this franchise for a whole new generation." The hip-hop star adds, "I am excited to kick off my partnership with MTV, starting with the relaunch of Fear Factor, which will be even more insane and ludicrous than what you remember. This will be the first of many great projects together!" The new season of Fear Factor will debut on MTV on 30 May (17). The popular U.S. game show, an adaptation of the Netherlands' Now or Neverland, ran from 2001 to 2006, and briefly returned to TV screens for one year until it was cancelled again in 2012. 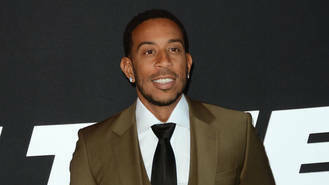 Ludacris will take over the role of MC from comedian and UFC commentator Joe Rogan, while original executive producers Anthony Carbone and Kevin Wehrenberg will return to oversee the rebooted series, according to The Hollywood Reporter.